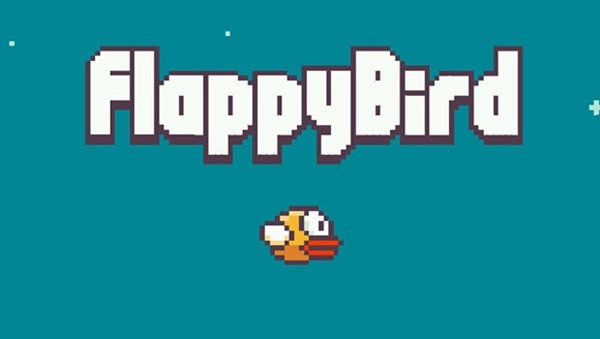 The developer of the popular Flappy Bird game for iOS and Android made the rather surprising move to pull the title from both platforms over the weekend, despite the fact that it was perched comfortably atop the free-to-download charts on both the App Store and Google Play Store. 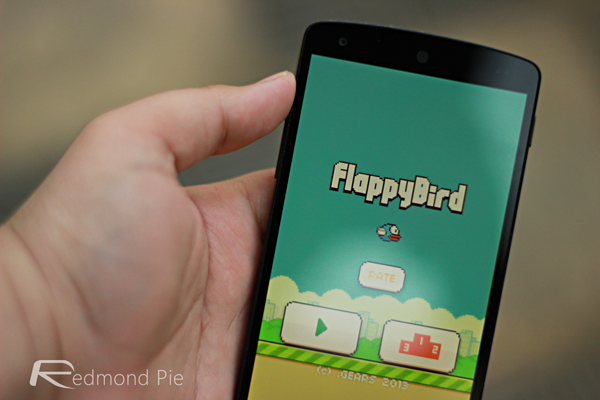 But all mightn’t be lost, for there are ways that you can still download and enjoy Flappy Bird on your mobile device, and we’ve all the details right here. For purpose of clarity, we’ve detailed the steps under two separate headings, beginning with iOS before moving onto Android. Follow closely, and before long, you will soon hopefully be enjoying the game that everyone’s talking out. We might as well start by admitting that, if you haven’t downloaded the title at all, then there’s pretty much no way you’re going to download this legitimately to your device. Yes there’s a way out for jailbroken devices, but we are not going to discuss it here. If you downloaded the game and decided to delete it, however, you can recover it via the App Store app, thanks to iCloud. 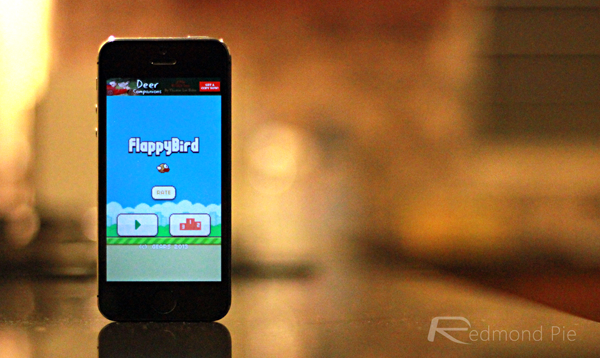 All you need to do is browse through your existing purchases, locate Flappy Bird, and tap on the cloud button, which will, in turn, throw up the option to install Flappy Bird on your iPhone, iPad or iPod touch. You could, as a last resort, ask a friend if they’ll log you in and let you download the title from their account, seeing as it’s free and all, but do consider the fact that if you restore your device, you will have to repeat the process in order to play Flappy Bird once more. Thanks to the open source nature of Android, things are a great deal simpler in cases such as this. 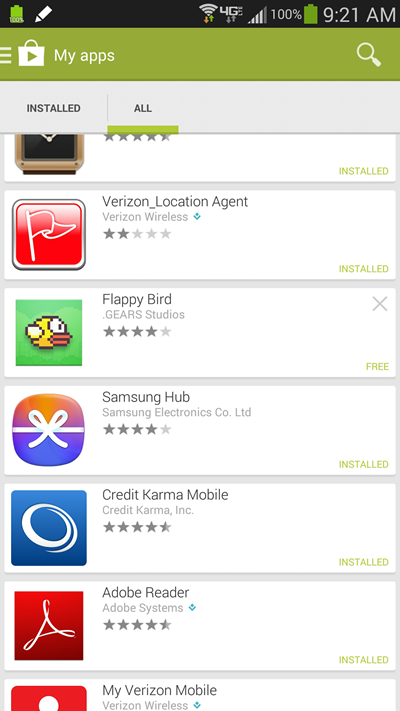 Although Flappy Bird might have been pulled from the official Google Play Store, you can still download the APK from a myriad of other outlets, and it is these outlets that will serve as your way into hours of endless, Flappy Bird-induced frustration and anger. Once you’ve downloaded the APK onto your device, you can readily install using any decent file browsing app (ES File Explorer is free, and works). This process is known as side-loading. Of course, you will need to ensure that you alter your settings, if momentarily, in order to install apps from outside the Google Play Store, but once the process is complete, you’ll be able to play Flappy Bird for as long as your sensibilities are able to tolerate. 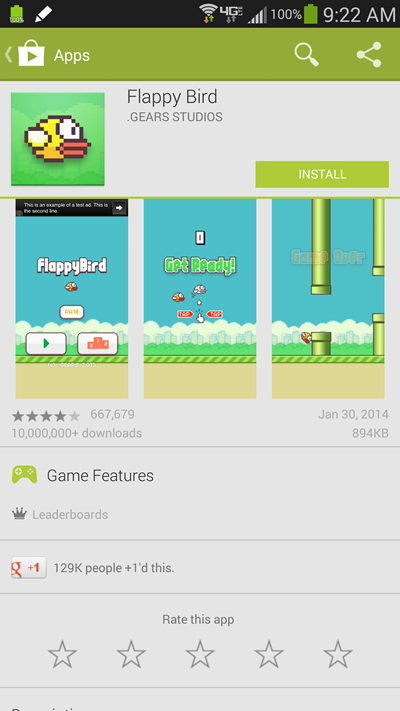 Update x1: As it turns out, just like on iOS, you can download Flappy Bird from Google Play too as long as you downloaded it before for Android using your Google account. Thanks Garrett Yuen for the hat tip!